Welcome to where relaxing beauty and high-octane adrenaline live in perfect harmony! Interlaken is a traditional Swiss village located in the heart of the rugged Alps, between Lake Thun and Lake Brienz. 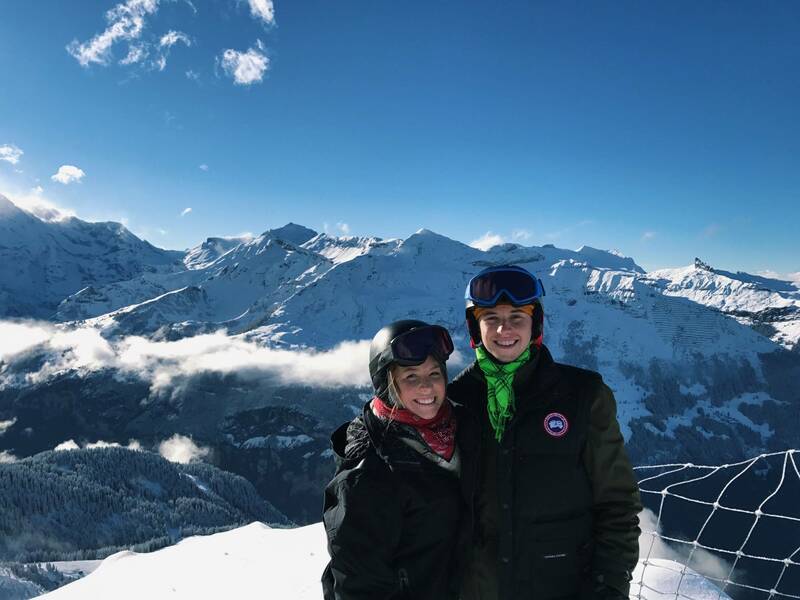 Scenic mountain walks and calming Alpine Spas collide with adventure activities like Skydiving, Snowboarding, and Paragliding. 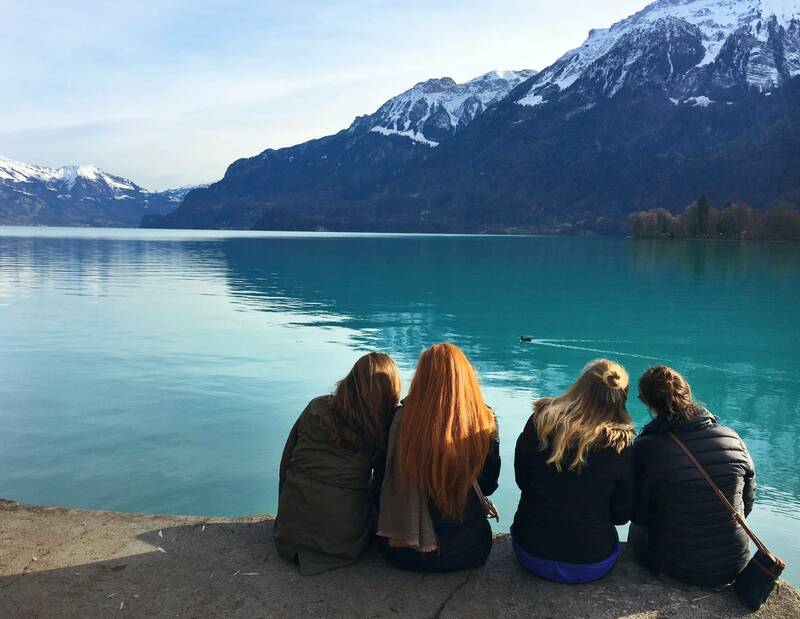 Whether you are looking for inspiring beauty or an action-packed weekend, you will find yourself in Interlaken. We will depart for Interlaken from Geneva Airport. Travel to Interlaken is by private luxury coach. Upon arrival in Interlaken, we will immediately check into our accommodation. 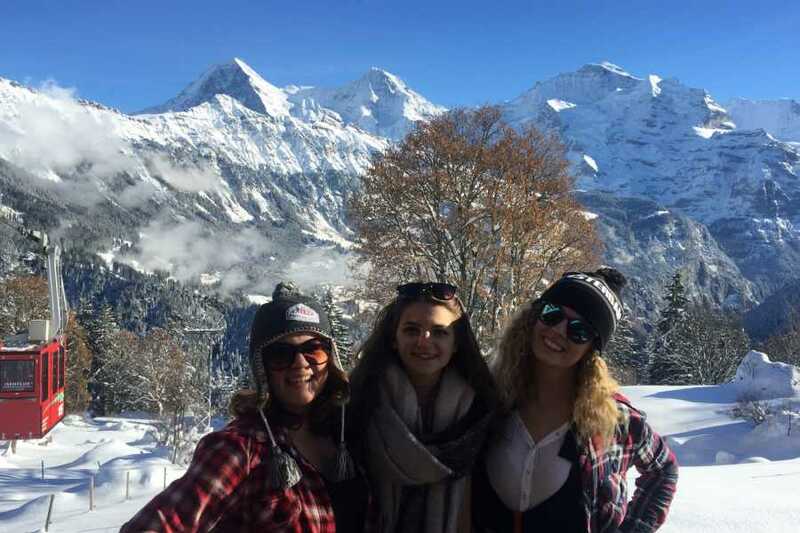 Interlaken is situated in the Lauterbrunnen Valley at the base of the stunning Jungfrau Region of the Swiss Alps, and between two beautiful lakes, Thun and Brienz. Your personal schedule for the weekend will be based on the activities you choose to do. 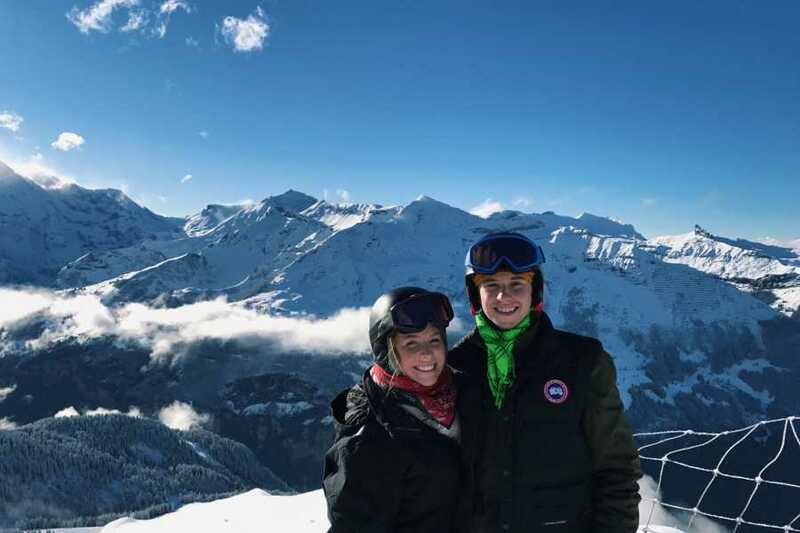 Activities include skiing or snowboarding, skydiving, paragliding, hanggliding, canyon jumping, chocolate shows, hiking, plus loads more. Some activities are weather permitting so plan accordingly. We will depart Interlaken for the Geneva Airport on Monday morning. Night Sledding* & Fondue Dinner: Go back to your childhood gliding down a moonlit trail deep in the Swiss mountains. Traditional Swiss Fondue dinner is included. 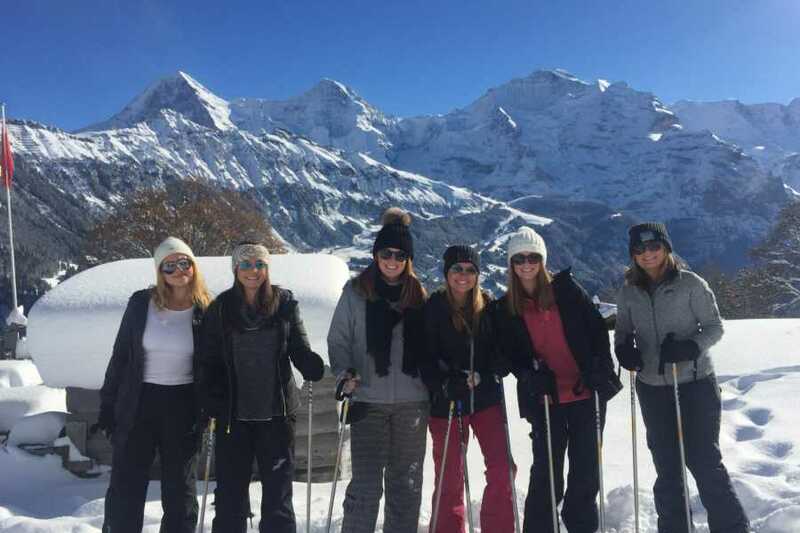 Snowshoeing*: Hike the alps in the snow for unmateched views! Perfect for non-skiiers who want to hit the mountain! Skydiving: Freefall for 45 seconds over the beautiful Swiss Alps from 13,000 feet up. Heli-Skydiving is also available. Video and photos available at additional cost. 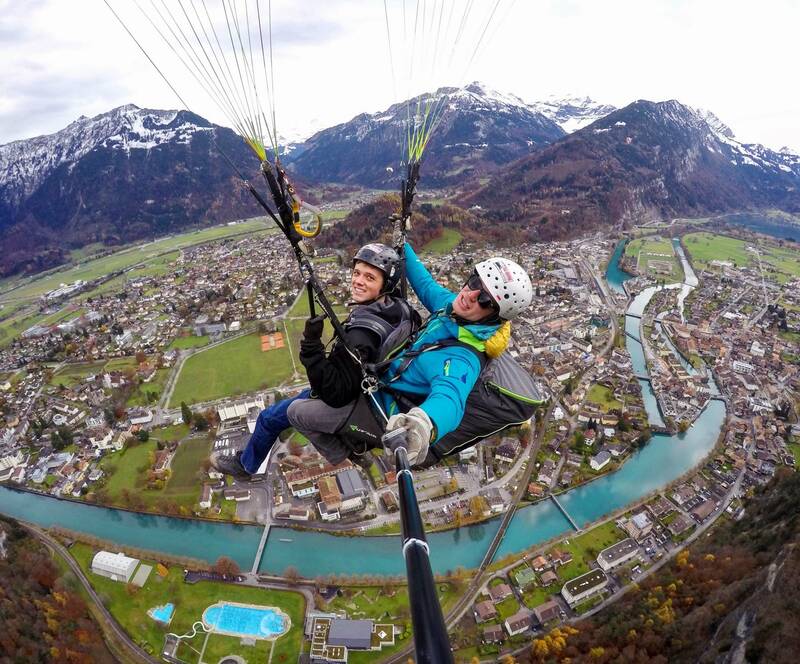 Paragliding: Suspend yourself well above the Swiss countryside, held on only by a parachute and your experienced guide helping you steer. 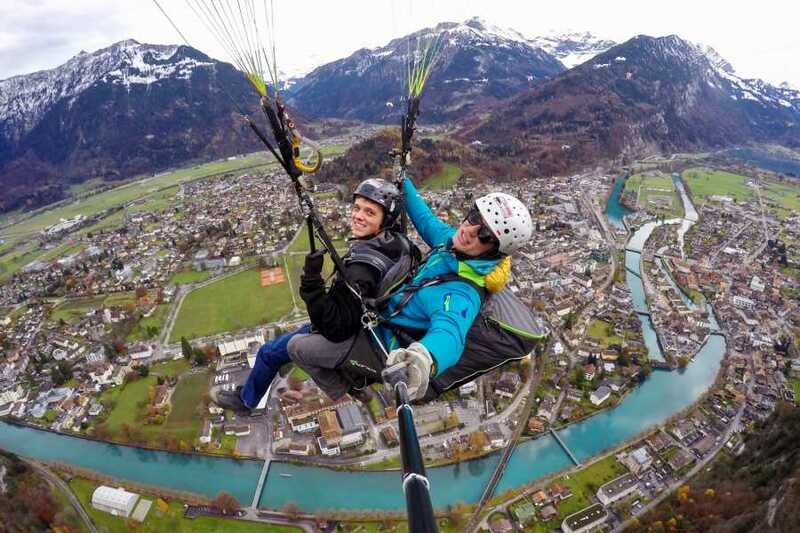 Hangliding: Catch thermals and up-drafts, experience wing-overs, stalls, dives or just a simple easy float over Interlaken. Jungfraujoch - The Top of Europe: Head 2,061 meters up by cog train to see the best views of the beautiful Swiss Alps. Winter Ropes Course: The ropes course in Interlaken is a winter forest adventure of wooden bridges, tarzan swings and zip lines. Vertical Rush: Your heart rate will be tested against combinations of height, speed, and free fall on the Giant Swing, Highline, Speed Line and BASE jump Simulator. Swiss Food & Culture Tour: Visit a local farm, see cows and taste milk and cheese fresh from production, an then taste some of the world’s best chocolate. 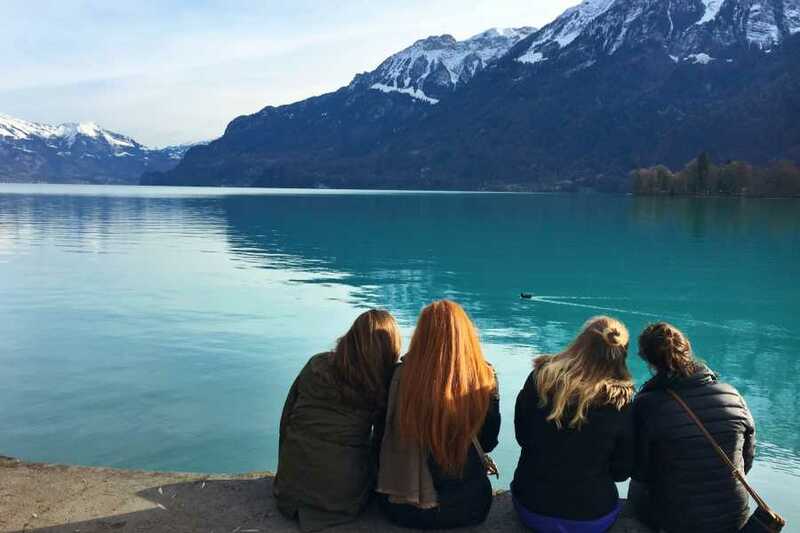 Interlaken Free Walking Tour: Guided by local experts you experience and learn about the beauty and history of Interlaken and its surroundings. It’s a gem in the midst of the Swiss Alps. Funky Chocolate Club: Create your very own version of the famous Swiss Chocolate at this workshop. 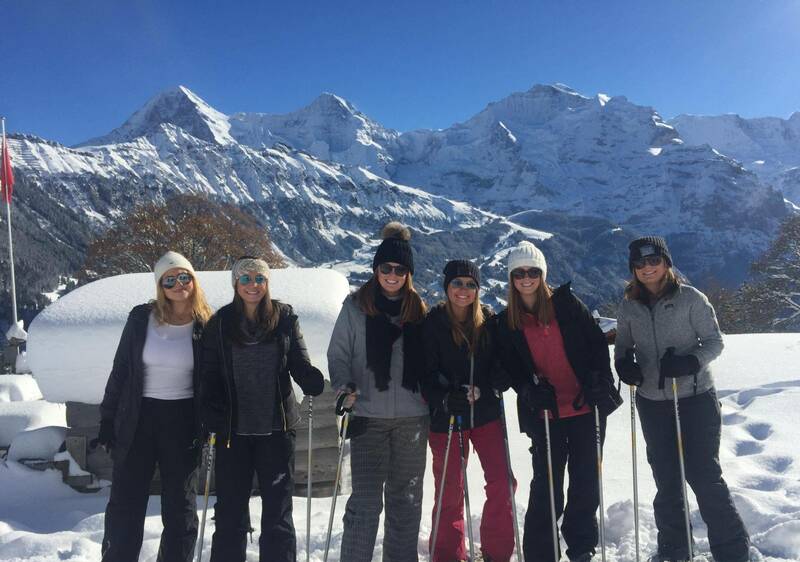 Ice Skating: Located a short walk from our accommodation is Interlaken’s Ice Rink. There are several open skate sessions throughout the day. 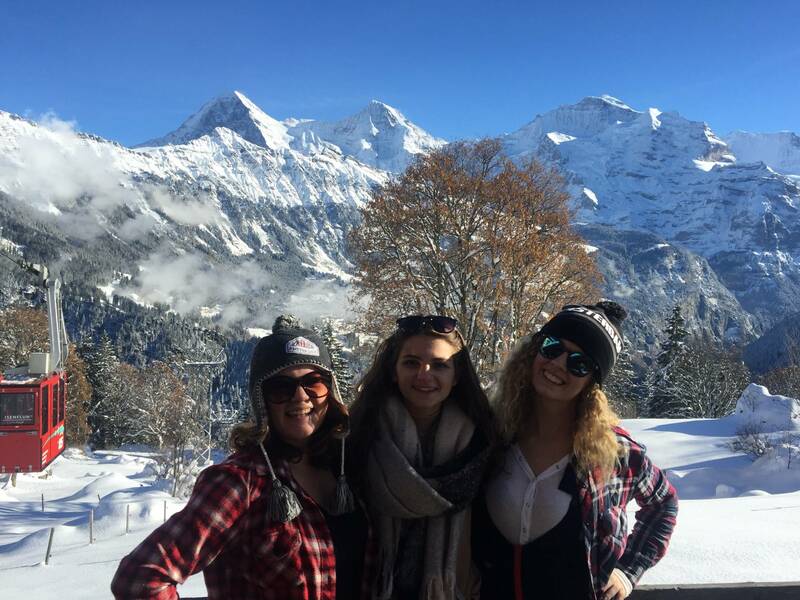 Interlaken Pub Crawl: Join locals in seeing the best nightlife spots that Interlaken has to offer. Victoria Jungrau Spa: With treatments ranging from simple massages to full-day wellness, the spa is a great place to stretch out your muscles after a day on the mountain.